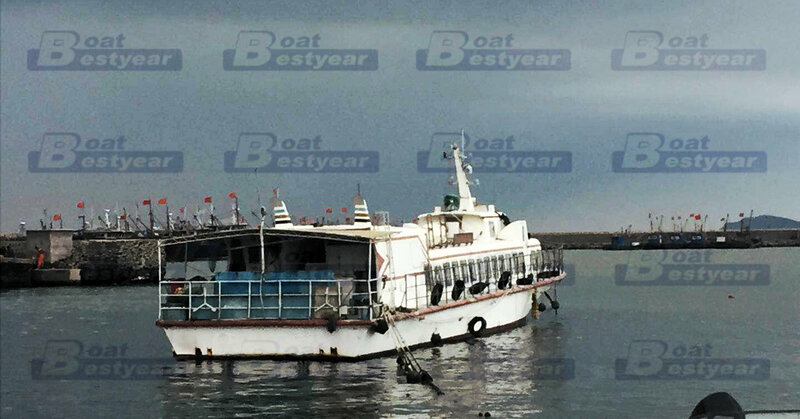 This 150P passenger ferry boat is fiberglass boat for commercial purpose, for passenger transportation. This boat is build in the year 2000 and in good condition. And now it is still in servicing. The boat has two layer which can load more passengers than normal one. 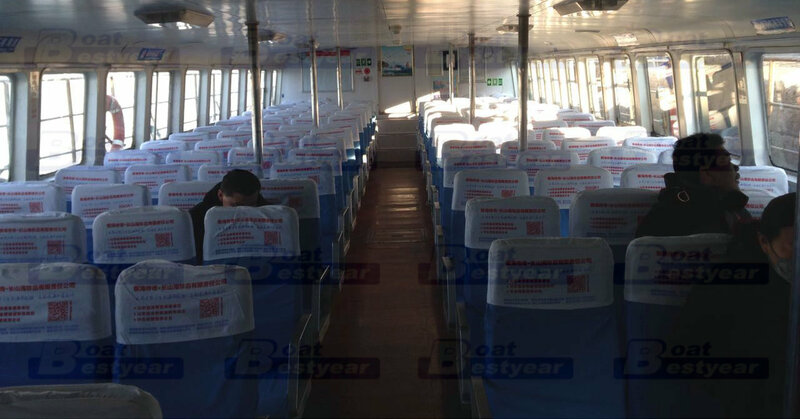 The inside cabin on the main deck can load 150 passengers and the upper deck can load 20-38 passengers. The large carring capacity can satisfy your inquiry in passenger transportation.The cabin decoration can also be customized according to your requirements. 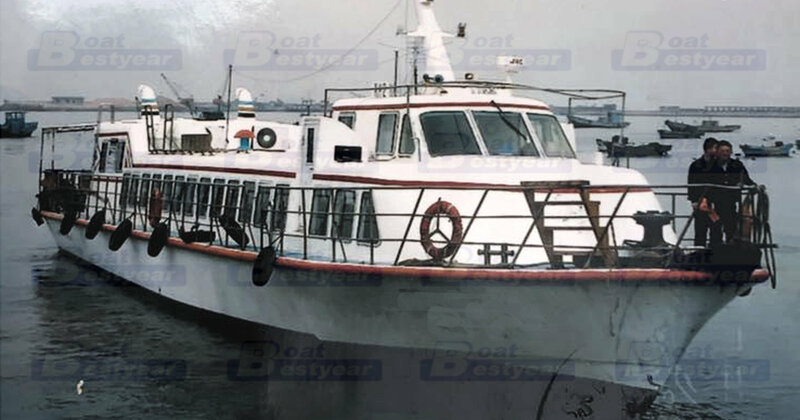 AS the boat is a double deck boat, the upper deck can be used for sightseeing or luggage storage. The boat also has complete marine equipments like console, driver seat, stainless steel rails, nav. lights, switch panel, radio, fuel tanks and so on. And the applicable engine types are twin inboard diesel engines 404KW, and the full loading cruise speed is 13Kn.